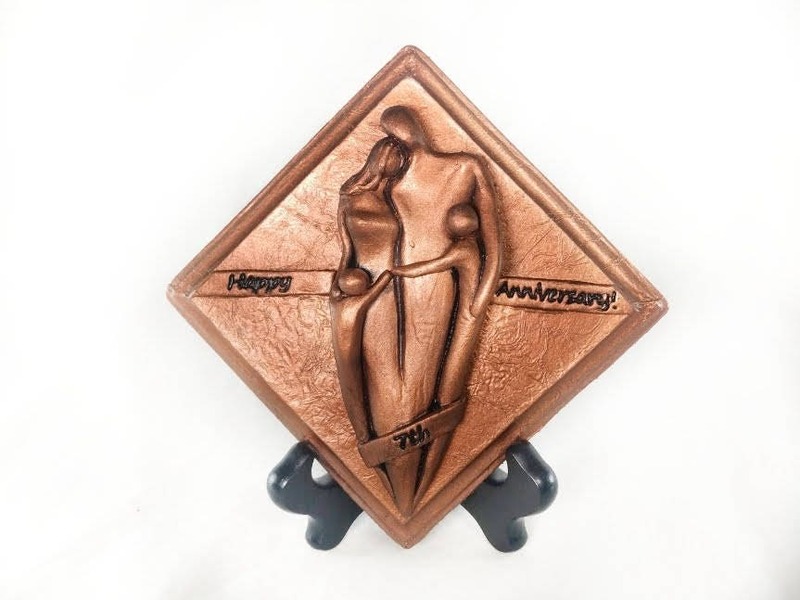 This 7 Year Happy Anniversary Cold Cast Copper Plaque is sculpted with a family of four on it! 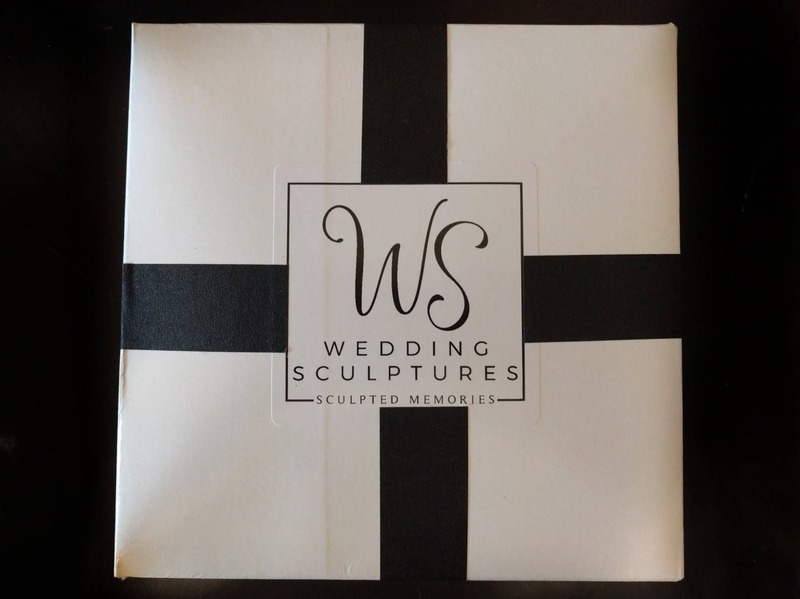 It's a perfect gift to give especially if your husband, wife or friends who have two children The family figures can be personalized by choosing the genders of the children. As you check out, you can choose between 2 boys, 2 girls, younger boy/older girl or younger girl/older boy (please choose "Custom" if the ages of your children do not match the sample of two children). **I am now able to customize the number of children on the plaque!! Please choose the option with the "Custom" and leave me a note with the ages and genders of the children to be added. 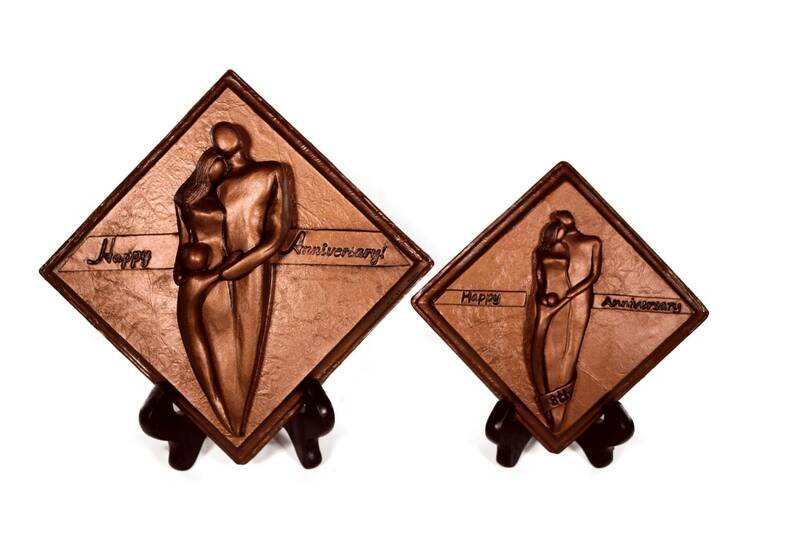 The Family of Four Anniversary Plaque is cold cast copper with a copper metal coating. The original design was sculpted out of clay. Then a mold was made from the clay sculpture. 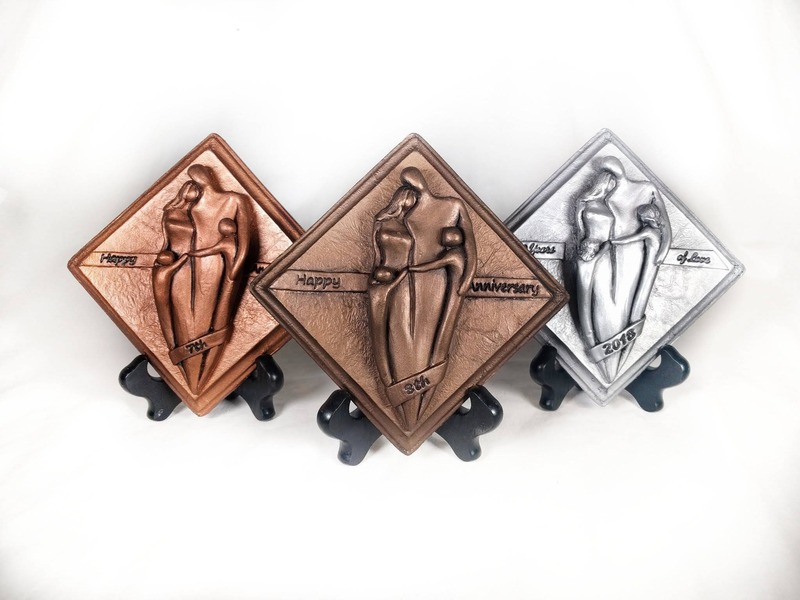 Finally, I cold cast copper in the mold and finish the piece with a copper metal coating. The large 7th Anniversary Plaque is 9" across/top to bottom (or 7" along the side of the diamond shape) and the small 7th Anniversary Plaque is 7" across/top to bottom (or 5" along the side of the diamond shape).